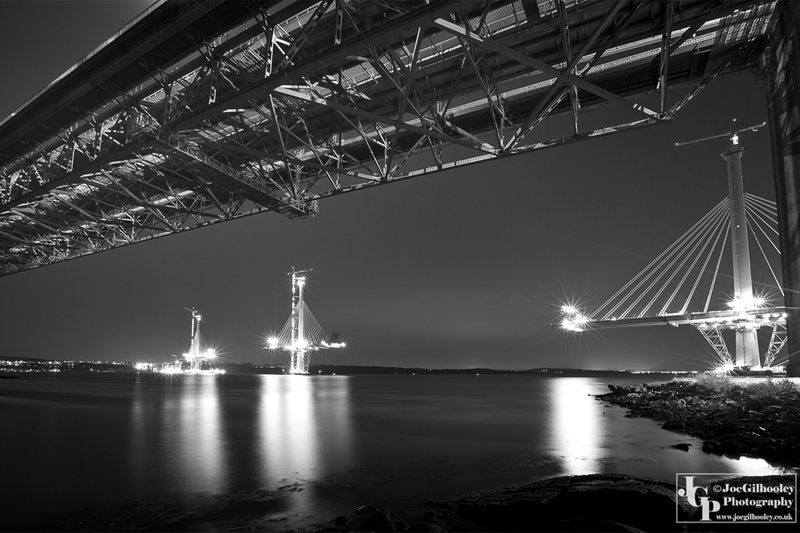 Monday 15th February 2016. 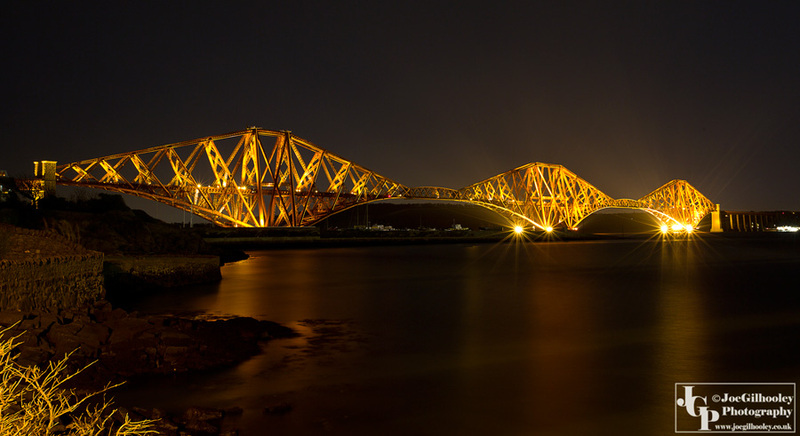 Visited Forth Bridge at night. 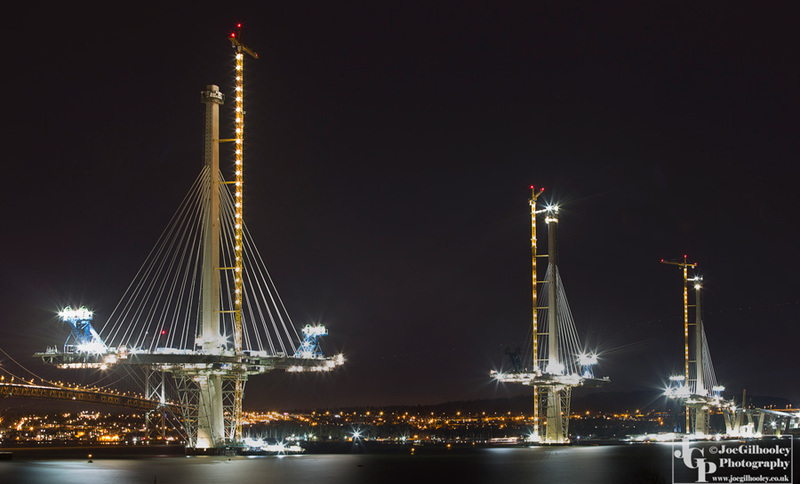 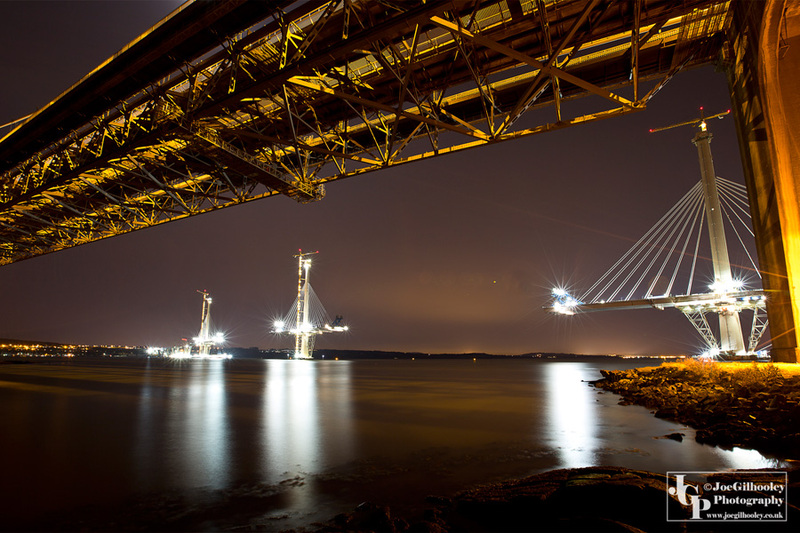 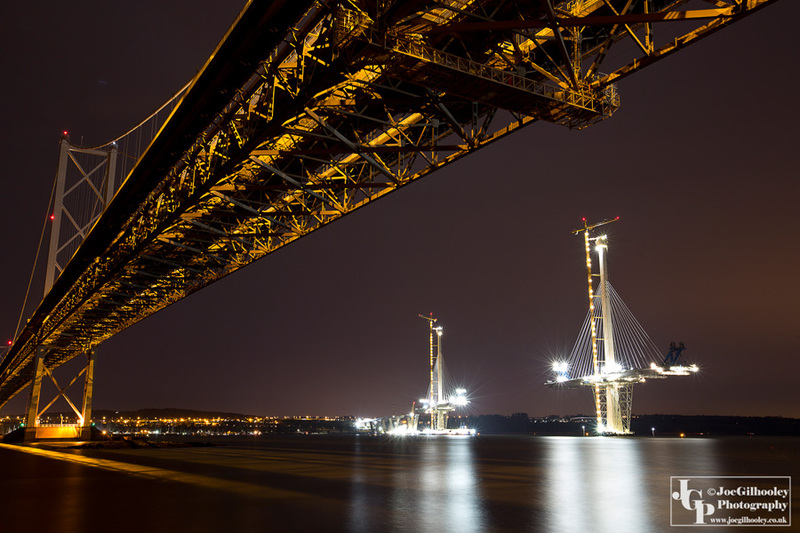 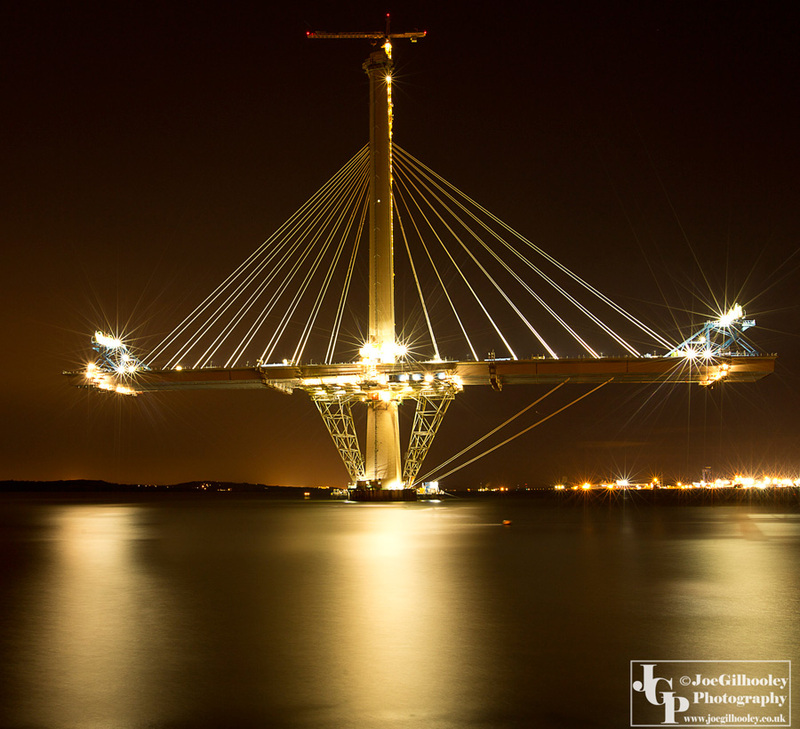 Aim was to capture images of the under construction Queensferry Crossing. 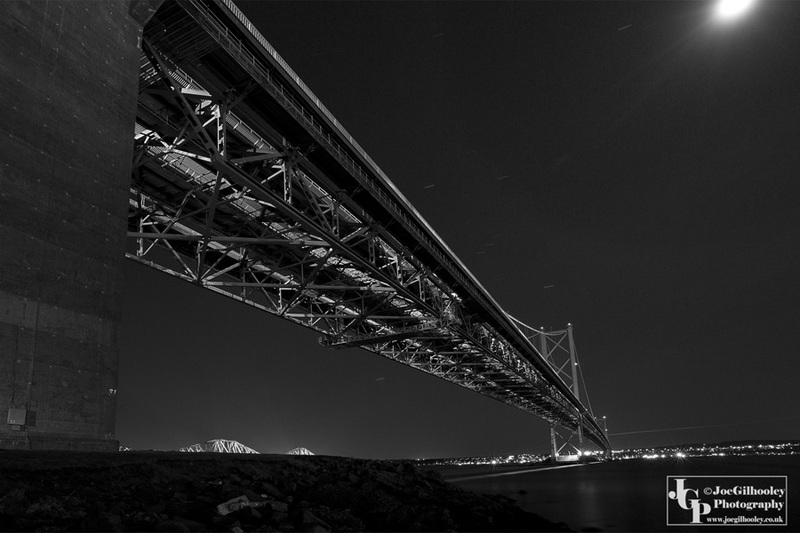 It is coming along nicely. 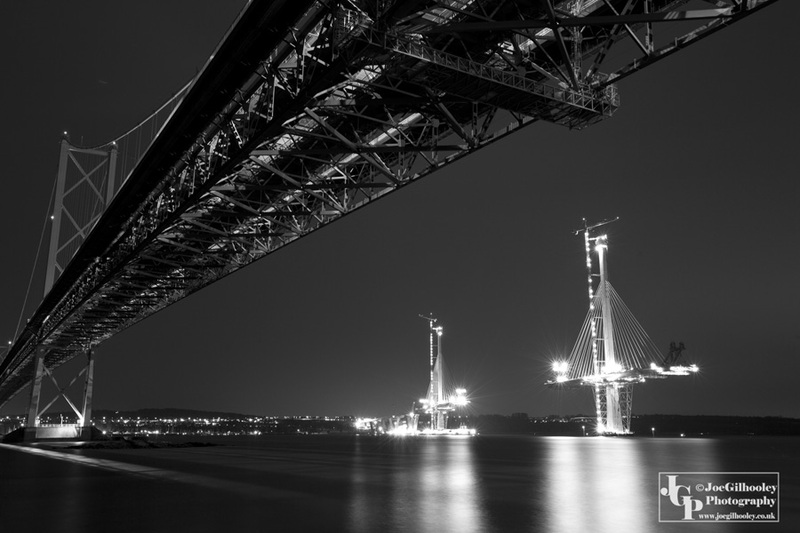 Also captured images of Forth Bridge along with underneath images of Forth Road Bridge. 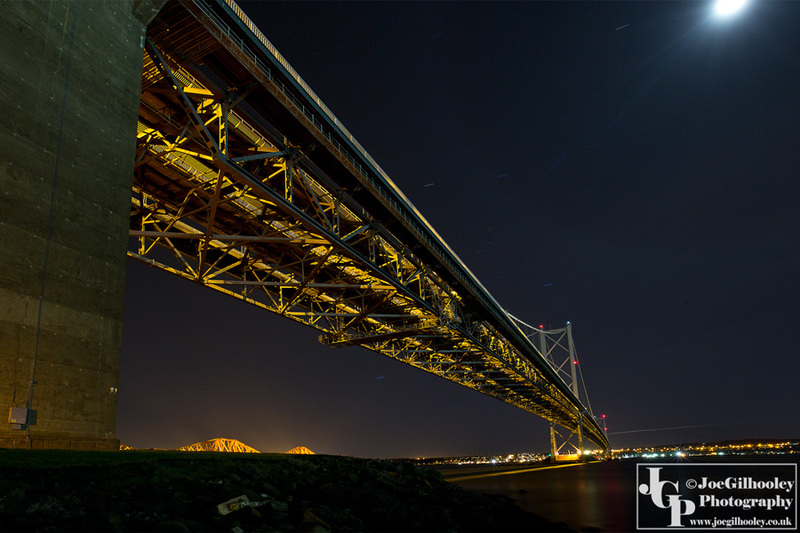 Plan to go back and try other angles.